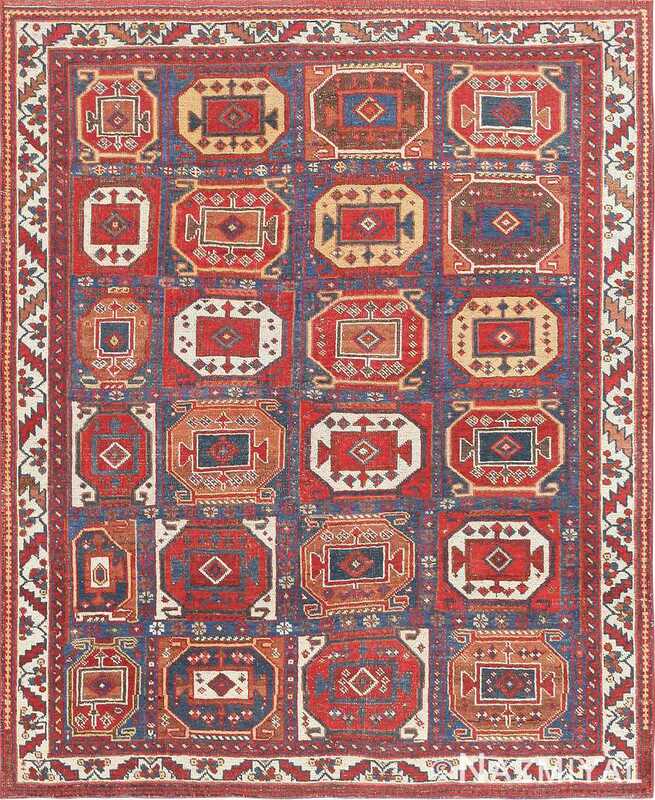 This fetching antique Persian rug – an exemplary Afshar – boasts a tribal design of abstract geometric figures framed by a floral border. Traditional, yet cosmopolitan. 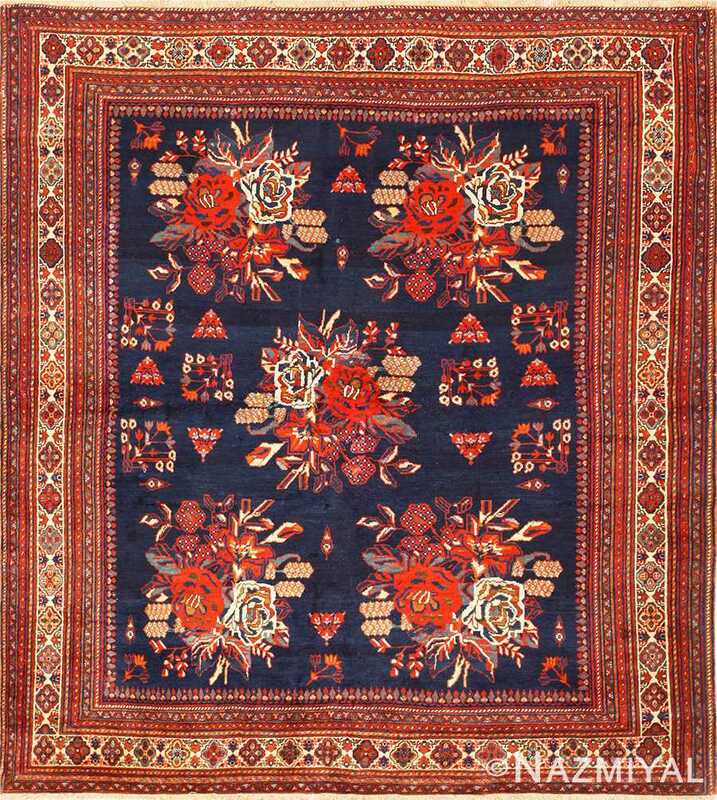 Antique Persian Afshar Rug, Origin: Persia, Circa: 1900 – Rugs of Afshar are celebrated in the art world for their unique blending of tribal and village traditions of rug-making. This particular Afshar, a small piece that is nevertheless sure to be the focal point of any room, is a fantastic example of the traditional Afshar style. 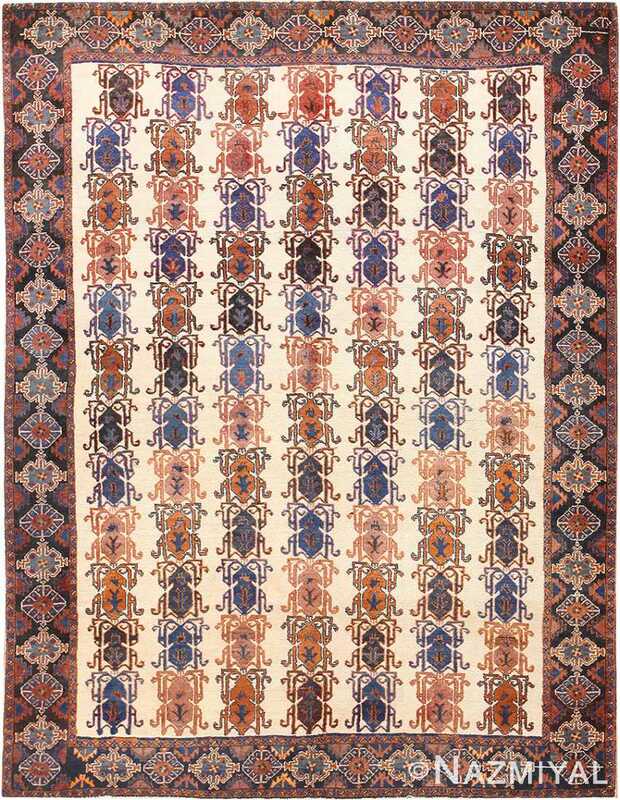 Featuring a strong and stable weave that is characteristic of rugs manufactured in a traditional village setting, this Afshar is also characterized by a very traditionally tribal design. 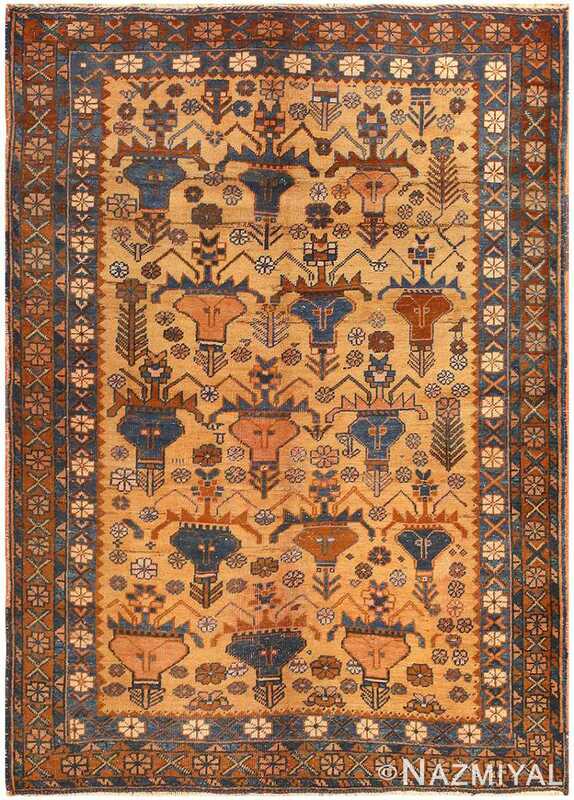 Featuring a deep blue field of twenty-four large geometric figures, this fetching Afshar is just about as traditional as it could be: the dynamic field of abstract figures is a pattern favored by the nomadic carpet makers of Persian and the Caucuses, prized for its expressiveness and cultural importance. An ivory border decorated with zig-zagging vine scrolls seems to carry the energy of the field in an outward direction, giving this Afshar an overall impression of balance and careful composition.